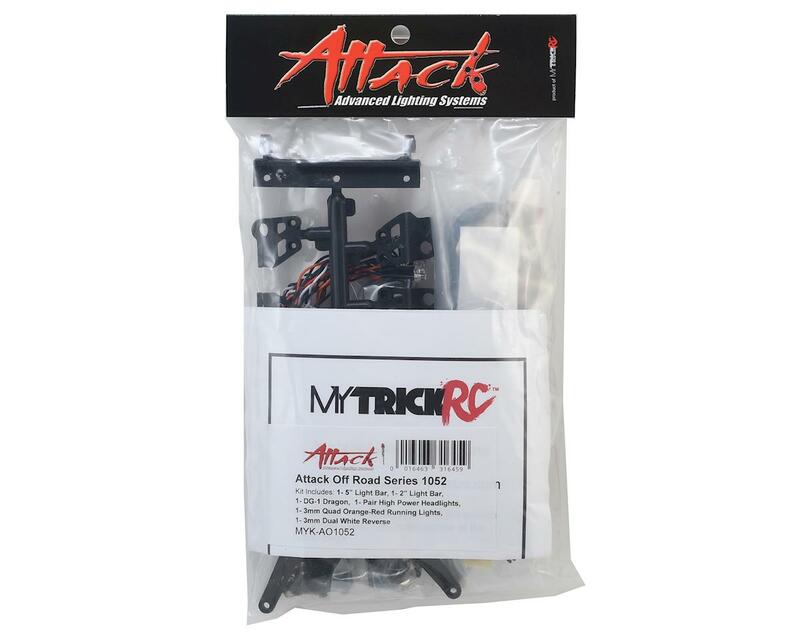 The MyTrickRC Attack Off Road 1000 Series is a complete off road package. 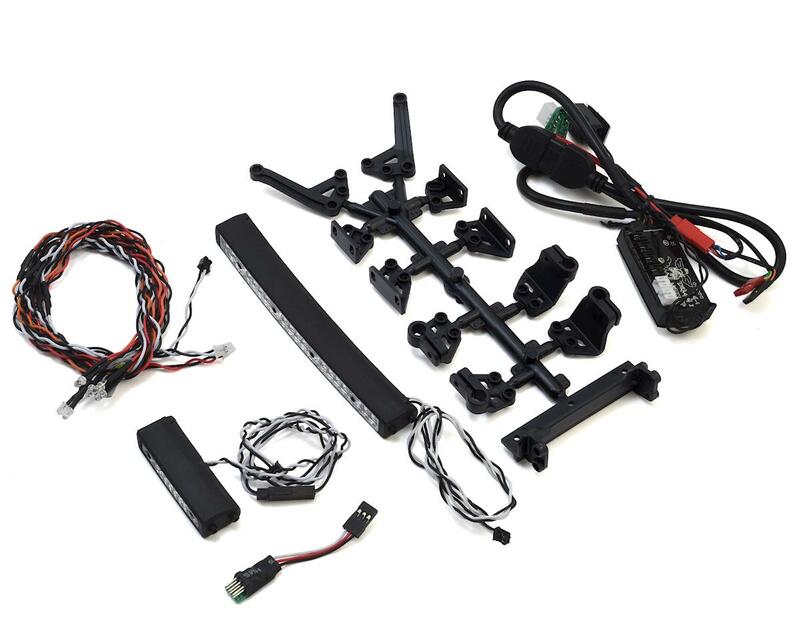 This high power 3S ready kit includes a waterproof 5" light bar, 2" light bar, headlights, red and yellow 3mm LEDs, all controlled from the 6 port DG-1 Dragon controller. Plus, if you have an open switch on your transmitter, the system can be plugged into an open receiver port and controlled directly from the transmitter! 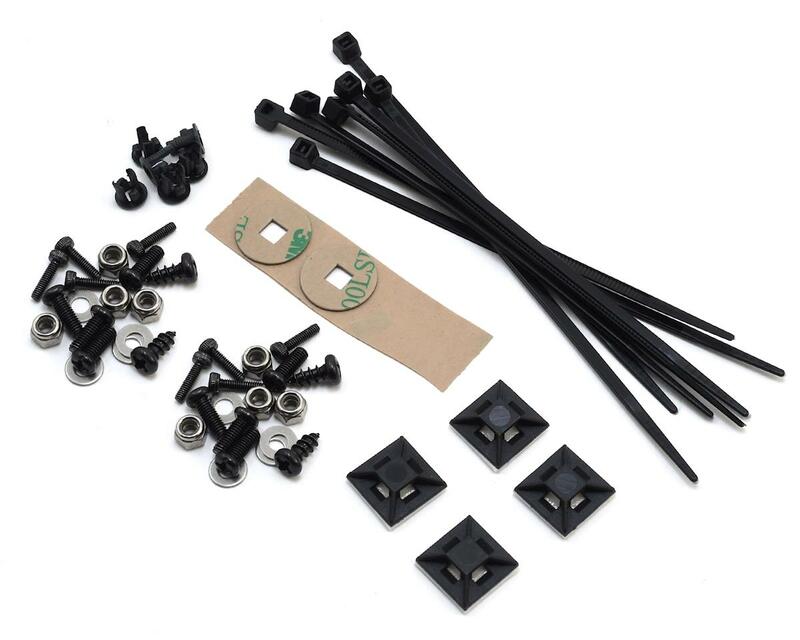 The kit includes all the hardware, wire guides and mounts needed for installation, and the video below will lead you step by step through the installation process. This off-road truck light kit are universal and will fit most RC off-road trucks. NOTE: Installation video is for illustrative purposes only. The kit shown in the video is not the same as the kit described on this product page.